See the images by reading on. Ugh. Just no. Can we just please get some modern sculpted 3.75 figures? Game of Thrones, a few 5 POA Star Wars, and 2-4 Marvel figures and that's if for Toy Fair? Ugh. Writing adult collectible on the packaging is just an insult to adults with working eyes and actual standards. I agree, the reaction/kenner figures idea was fun and interesting at the beginning, but soon became boring and tiresome. Yes, the 80's had a cool toys, but where do we go ahead now? Instead of just mindlessly copying the same thing over and over, wouldn't be more smarter to copy the characteristics that made 80's toys cool? Which means a verity of original figures, vehicles and playsets having their own unique storyline and universe. We have reach the point that we can't tell apart playline and adult collector. 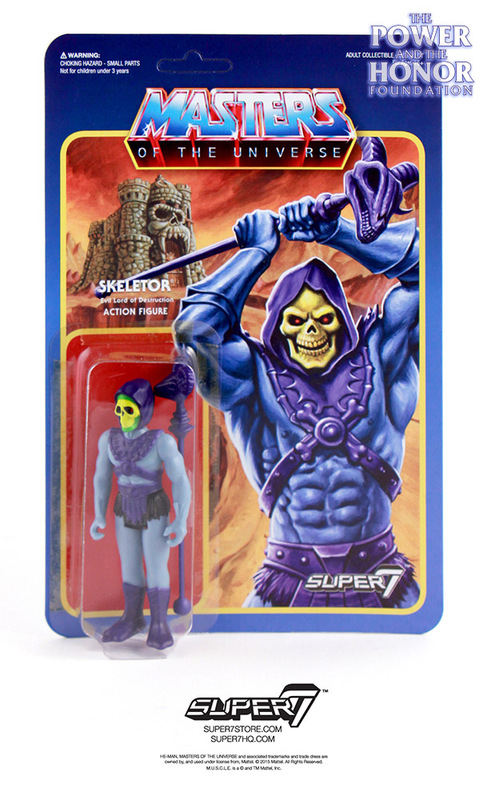 Agree Reaction was fun for a minute, but then Mattel and Hasbro dropped nearly all 3.75 lines and Funko got every license in existence and we are left looking and saying that would be a cool figure if it didn't look like it was sculpted in 1979. The really dumb thing is the 70s and 80s had GI Joe and Micronauts and probably other stuff that were well articulated. Trying to make everything look like Kenner's Star Wars is bizarre. Thr Street Fighter ones at least look better than the SF GI Joes. Admittedly, I've picked up a few of the Alien and Firefly ReAction figures, because I liked the idea of characters from those franchises done in the vintage Kenner Star Wars aesthetic. But yeah, at this point, I agree that the ReAction line has gotten out of hand. I really hope that Funko decides to switch gears and focus more on their 9 PoA 3 3/4" lines than on the ReAction line. I am (mostly) alone in this boat, but I am absolutely in LOVE with this!!!! I think it's great. I want cheesy looking goofball figures of these characters. Not roided up multiple pose figures with two different heads and accessories. Plain, simple, unabashed cornball eighties goodness. I am a 3.75" only collector. I like and demand highly articulated figures. That said, I am slowly getting behind 5 poa big time! Maybe I had a fall and knocked my head.... but if I can't get 23+ points of articulation, then give me five. Especially in a new line. 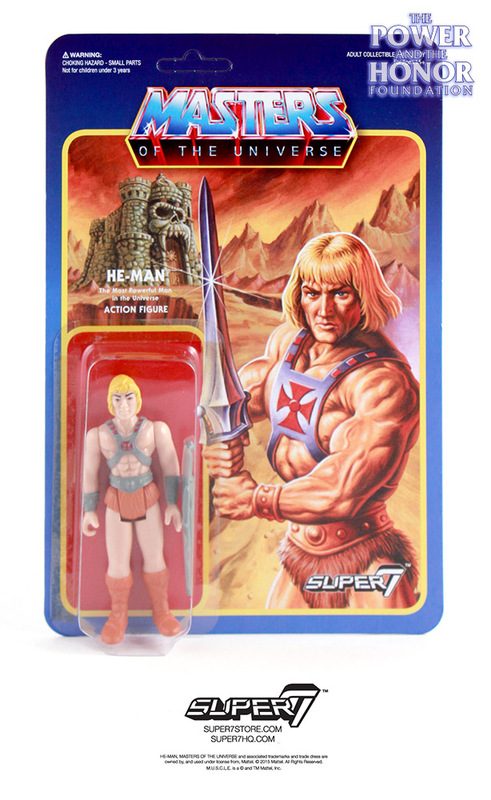 What other super articulated He-Man figures that I have displayed will these clash with??? Sure if I put them next to Joe's, MU's or Boss Fight stuff they'd look out of place. On there own little shelf they WILL look fantastic!!!! 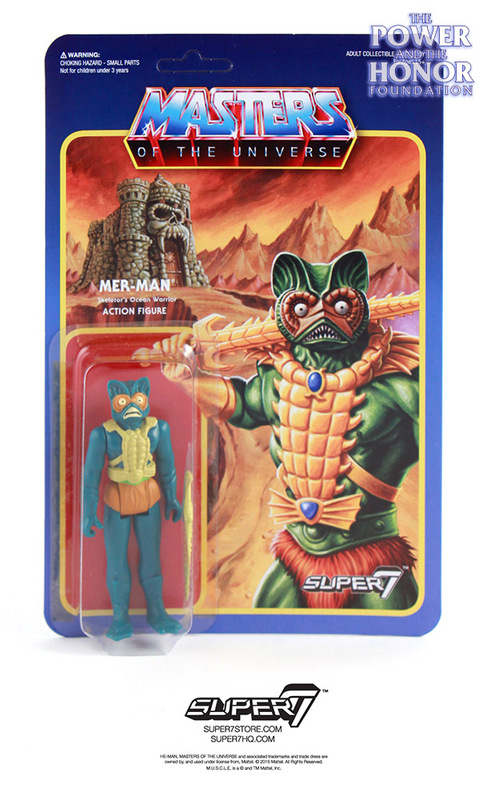 I don't think the MOTU ones look too bad. The artwork looks very cool. If you had one mint on sealed card it would be cool to get the voice actor who portrayed the character in the 1980s to sign it. I sure wish I had that Skelator when I met Alan Oppenheimer. I bought a small shelf Sunday night for this line!!!! Super excited now. I will use THIS (not sure which, most likely Castle Wall) on the shelf and display them on it. 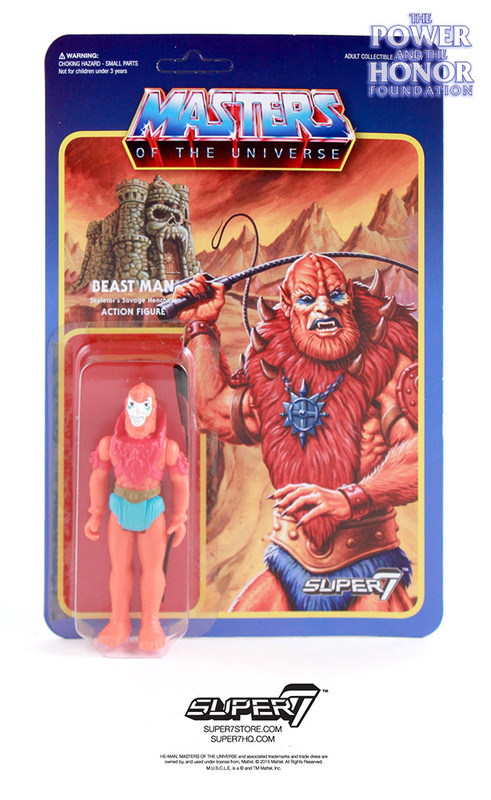 It will be 3.75" MOTU vintage goodness. Let the haters hate!